Welcome to Fort Drum! The mission of Pack 26 is to provide a positive atmosphere where the Scouts will grow and develop. Our ultimate objectives are citizenship training, character development, out-of-door skills and respect, and personal fitness. In Cub Scouting, a framework is provided with guidelines upon which we build. We build upon the framework by inserting fun and excitement into the learning process. Many times, the boys do not realize that they are learning anything; they are having too much fun to recognize it. That's when we know we are doing it right! 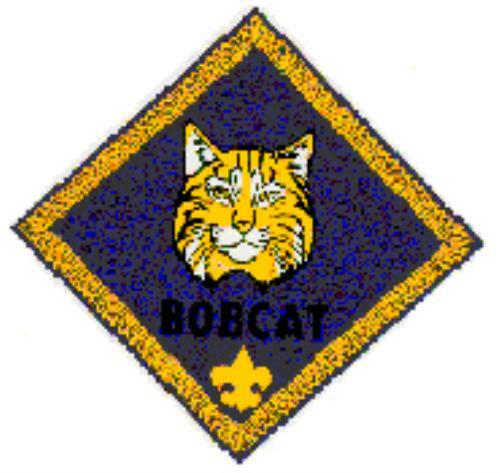 All cubs must complete this badge before earning their rank badges. They learn Cub Scouting principles and the following: Honesty; Cub Scout Promise; Law of the Pack; Cub Scout sign; meaning of Webelos; Cub Scout handshake; Cub Scout motto; Cub Scout salute. Tiger Cubs and parents work together as a team to learn about Scouting. All activities are based on the Tiger motto: "Search, Discover, Share". Requirements: Complete five achievements, each with an activity in the areas of family, den, and "go-see-it" (field trip). Achievement areas are: Making my family special; where I live; keeping myself healthy and safe; how I tell it; and let's go outdoors. 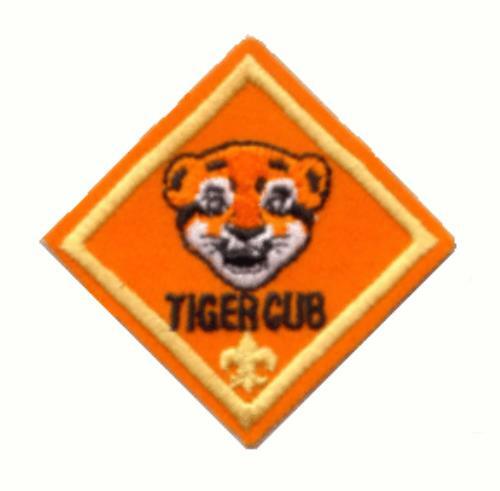 The Tiger Cub totem is a paw-print shaped totem worn on the uniform and used for instant recognition with a colored bead for each activity completed. Electives earn one bead for every 10 completed. There are 50 topics to choose from. The Wolf program introduces Cubs to learning about the world, exploring new skills and teaching them how to get along with others. Wolf Cubs must complete 12 achievements that explore topics such as physical fitness, patriotism, keeping healthy, home and community, tools for fixing and building, start a collection, our world, cooking and eating, safety, family fun, duty to God, and making choices. A totem with a wolf and bear head is worn on the uniform. Scouts earn a gold bead for every three achievements in the Wolf program. 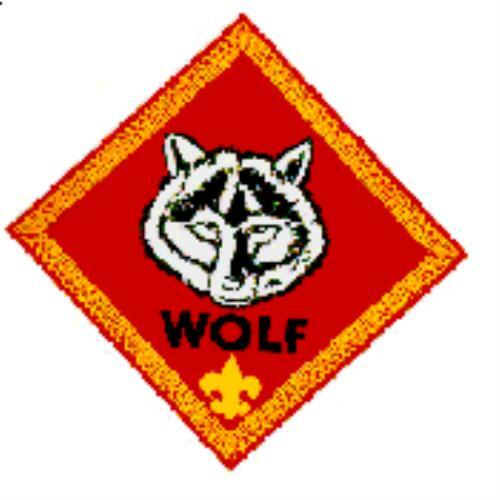 For the first 10 electives earned, Wolf Cubs earn a gold arrow point to wear on their uniforms. For every 10 electives after the gold arrow point, a silver arrow point is awarded. The Bear program expands the knowledge, learning and skills in a variety of areas and reinforces Scouting ideals and practices. Bear Scouts must complete 12 achievements out of 24 possible topics, including: worship and faith, what makes America special, tall tales and folklore, planet and wildlife, law enforcement, what's cooking, family fun and outdoor adventures, emergency preparedness, saving well and spending well, bicycle safety, physical fitness and sports, communicating, tools and building, knots, and be a leader. Bear Scouts wear the same totem as the Wolf Cubs, but earn a red bead for every three achievements completed in the Bear program. 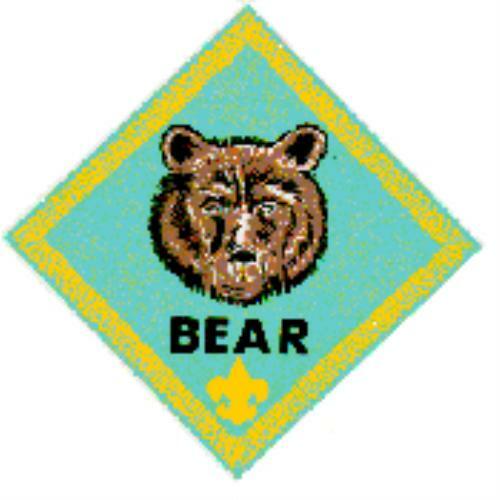 Like Wolf Cubs, the Bear Scout earns a gold arrow point for the first 10 electives earned, and a silver arrow point for every 10 electives after the gold arrowpoint is awarded. Webelos (WE'll BE LOyal Scouts) prepares Cub Scouts for the transition into Boy Scouts. The Webelos program builds on the foundations of the Cub Scout program and focuses on new experiences, responsibilities, and maturity, and enhances safety and outdoor skills. To earn the Webelos badge, Scouts must be active in their den, know the meaning of the Webelos badge, understand Boy Scout requirements, understand faith, and complete three of the 20 available activity badges, including fitness and citizen. There are five activity badge groups: Physical skills (aquanaut, athlete, fitness, sportsman); mental skills (artist, scholar, showman, traveler); community (citizen, communicator, family member, readyman); technology (craftsman, engineer, handyman, scientist); and outdoor (forester, geologist, naturalist, outdoorsman). The Arrow of Light award is the highest rank in Cub Scouting. Scouts must earn eight activity badges (one from each group), as well as fitness, citizen, readyman and outdoorsman. 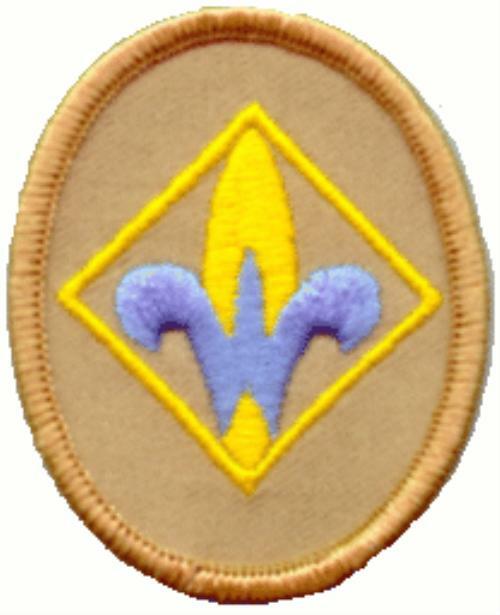 The Arrow of Light award is the only Cub Scout award that can be worn on the Boy Scout uniform.